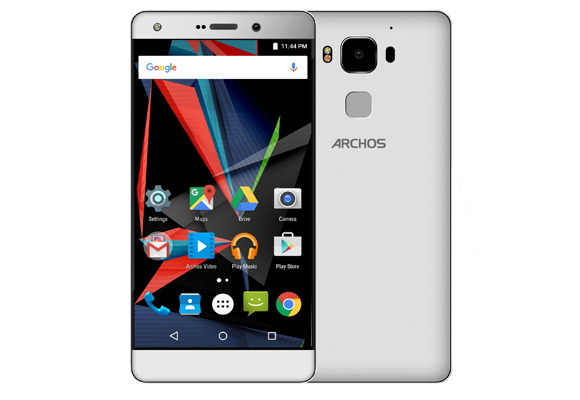 In addition to the huge smartphone Diamond 2 Note, Archos has expanded its range with the Diamond 2 Plus model. This device is somewhat smaller. The diagonal of its screen is 5.5 inches at a resolution of 1920 x 1080 pixels. Curious configuration in comparison with a larger model. There is more RAM here - 4 GB. But the single-chip system is easier - MediaTek Helio P10. 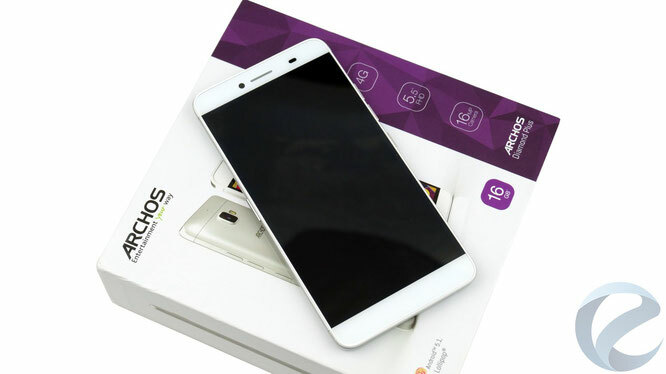 The smartphone also has 64 GB of flash memory, a 3000 mAh battery with support for fast charging technology, 20 and 8 megapixel cameras, a fingerprint scanner and a USB-C port. The device is enclosed in a metal case and works with two SIM cards. The OS is Android 6.0. The set of accessories consists of a charger with an output current of 5V 1.5 A, a Micro-USB connection cable, a wired stereo headset with rubber inner-channel earbuds, as well as a protective film on the screen, a key and a pair of plump paper booklets with information.